Over 170 people recently attended the launch of the "Queensland T&L Future Leaders Award" and "T&L Industry Futures Award for the Transport, Supply Chain & Logistics Industries" at the Hilton Hotel, Brisbane. The next generation of the SCL industry came out to support the new award program with 52 under 30s attending the event. During the event the Supply Chain & Logistics Association of Australia, in conjunction with the Australian Logistics Council, APICS, CIPSA and the Queensland Transport Industry Capability Unit launched the inaugural T&L Industry Development Awards. The Queensland T&L Industry Futures Award, sponsored by EsSCO, will be awarded to the company, institution or organisation with the best proven record in providing people with an entry to, and pathway in, the Transport, Supply Chain & Logistics industries. The T&L Industry Futures Award includes, but is not limited to, education or training (formal or in-house), implementing flexible work practices, workforce development, and support in career progression. “In recognising the skills and labour shortage facing the Supply Chain and Logistics sector, EsSCo decided to provide support as talking about it is not enough,” Mr Liam Stitt, managing director of EsSCO said. “By identifying leading organisations that are going above and beyond the norm to engage people in our industry is an ideal way to help others understand how to deal with this issue. The younger generation must be encouraged and supported as they take over for the future, and what better way to do this than by supporting such a wonderful initiative as the T&L Awards program,” he said. “I would fully expect other organisations, both large and small, to make a similar contribution to the Queensland Future Leaders and Industry Futures Awards.” Mr Stitt said. • Describe the project or program that your organisation has implemented in the past 12 months to encourage people to enter and develop in the T&L industry. • Demonstrate the successes that have resulted from the initiative. • Describe the future of the initiative and any additional work you plan to do. • Companies must be based in Queensland to be eligible for this award. • A trophy for the organisation and one for the individual or team that led the initiative will be awarded at a gala dinner to the winner/s on Thursday the 31st of July 2008. • Invitation to be on the judging panel for this award in 2009. • Invitation to represent Queensland’s interests in the National Strategy for enhancing Australia’s Supply Chains on the Australian Logistics Council Annual Forum which will be held in Melbourne in early 2009. • Automatic entry for the 2008 ASCLA Awards and a complimentary ticket to attend the National Awards dinner on Thursday the 13th of November in Brisbane. • Complimentary Corporate Membership to the SCLAA for 12 months. The T&L Future Leaders Award, sponsored by Queensland Transport, will provide incentive and recognition for individuals working in transport, supply chain & logistics industries that are planning a career path within the Industry. 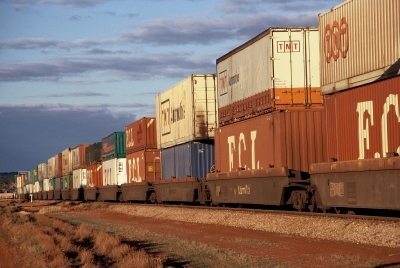 According to Louise Perram-Fisk, senior project manager, Industry Capability Unit Governance and Planning branch, "Queensland Transport is pleased to be involved with the T&L awards as they recognise the outstanding achievements of the people and organisations in the transport, supply chain and logistics industry." • Describe your/or the nominee’s career path to date. • What development activities have you/or the nominee’s undertaken since leaving school? • What will you/or the nominee’s future within the T&L industry look like? • Nominees must reside and work in Queensland and be under 30 years of age to be eligible for this award. • A trophy will be awarded to the winner at a gala dinner on Thursday the 31st of July. • The choice of one of the following three APICS courses. • Fundamentals of Purchasing and Contract Management (Cert IV Level Unit). • Fundamentals of Inventory Control (Cert IV Level Unit). • Basics of Supply Chain Management (Diploma Level Unit). • Complimentary individual membership to the SCLAA for 12 months. Judging will be by a panel that will not be focussing on the presentation of the submission but will focus on the story the applicant has to tell which could be conveyed via face to face, phone hook up or site visit during the judging process depending on the applicants’ situation and location. Winners will be announced on Thursday 31st of July 2008 during the Queensland Supply Chain & Logistics Conference. All finalists will be invited to attend the awards dinner. Nominations for both award categories must be received by Friday the 13th of June 2008. Email qld@sclaa.com.au for the submission form.